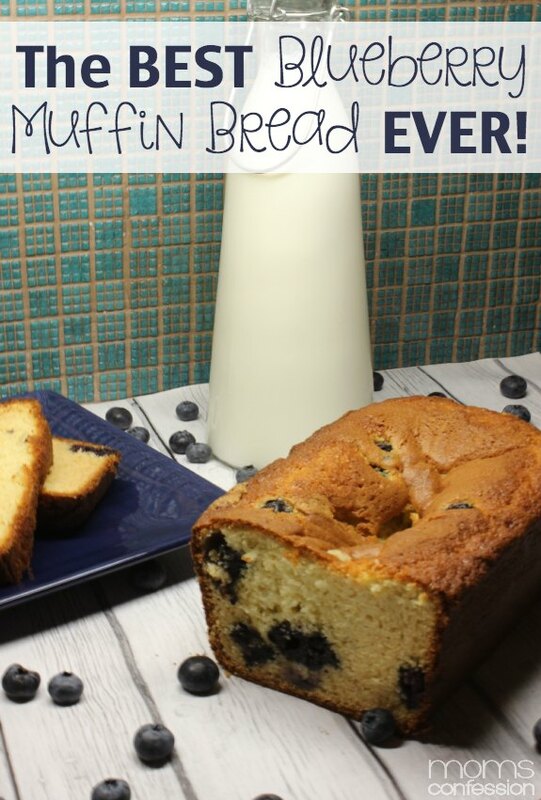 This scrumptious, quick and easy blueberry muffin bread from scratch is so delicious! We made it and it was devoured in about 5 minutes flat! You must try it yourself! Everyone in our family loves a good blueberry muffin, but when we ran out of cupcake/muffin liners we changed it up a bit and made a scrumptious Blueberry Muffin Loaf Bread that everyone devoured in about 5 minutes flat! Seriously y’all, the blueberry muffin bread was gone in no time. I couldn’t get it to the plate fast enough…to think I was planning on saving some for breakfast the next day. It looks like I’ll be doubling the recipe next time. Beat sugar and butter together until they seem light and fluffy in a mixer. Add eggs to the mixture one at a time. Add pancake mix slowly on low until mixed well. Increase speed of mixer as needed. After the batter is fully mixed as a very thick consistency, reduce the speed of the mixer to low. 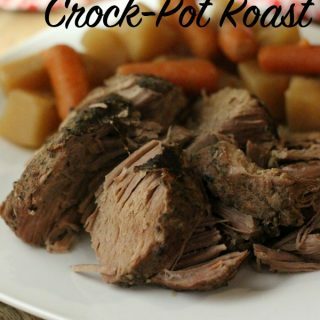 Pour milk in slowly and mix until it has a creamy consistency. Turn mixer off and fold in blueberries. Pour batter into a bread pan. After muffin bread is done, remove from oven and allow it to sit for approx. 5 minutes. Serve and enjoy every bite! 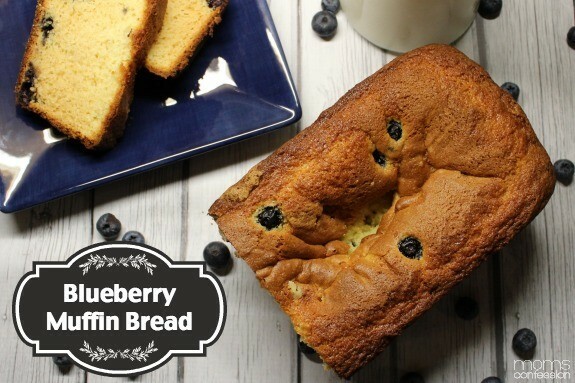 Get the Printable Blueberry Muffin Bread Recipe below. The great thing about bread and muffins is the fact that you can easily freeze them for a later date when you need a quick breakfast. So go ahead…make a couple of loaves now and freeze one of them for later! You know you wanna bite!!! This looks SO yummy… I could eat 3 slices with my morning coffee!